Snow removal is always a chore. 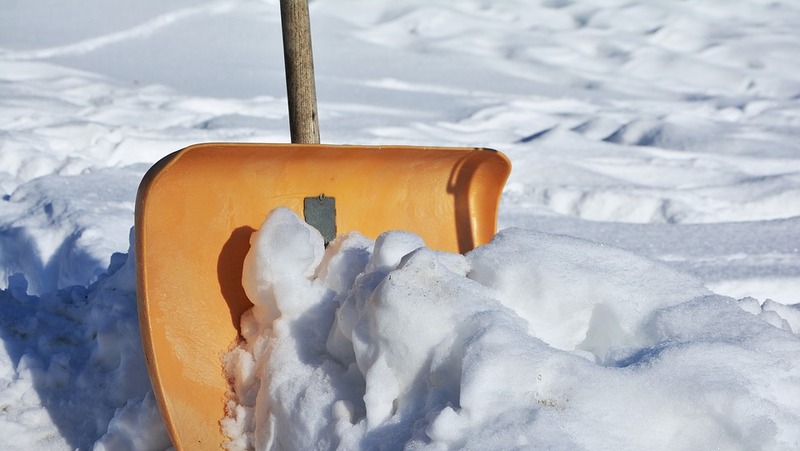 Did you know that the average shovelful of snow weighs 5 to 7 pounds? Multiply that by however many shovelfuls you need to clear your walk and driveway and you might be looking at a number in the hundreds or thousands! Warm up before starting. Shoveling snow may be a chore but it is also exercise. Don’t let the snow pile up. It’s less strenuous to move little bits of snow several times than to try to dig out everything at once. If the weather report calls for several days of snow, shovel frequently. Push, don’t throw. Push the snow to the side whenever you can. Throwing requires you to lift heavy shovels and increases the risk of twisting movements that can cause injury. Pick the right shovel. Choose a lightweight pusher-type shovel. If you’re using a metal shovel, be sure it’s treated so snow doesn’t stick to it. Bend your knees. Just like with any heavy object, use your knees, keep your back straight and let your leg and arm muscles do the lifting. Take a break. Shoveling snow is not a race. You don’t have to “beat” your neighbours. Stop and take a rest when you feel tired or out of breath. Stay hydrated. Stop shoveling immediately if you feel chest or back pain. Chiropractic care can help. If you’ve been getting regular maintenance care, your body will be performing at its best. It can increase your flexibility and decrease your risk of injury. Or, if you do suffer an injury while doing snow removal, chiropractic care can help you heal. If you have severe chest pain, call 911 immediately. If you have severe back pain, or back pain that persists for more than a day after shovelling, make an appointment with Sheppard Chiropractic Centre at (506) 635-8182 or (506) 847-7172.